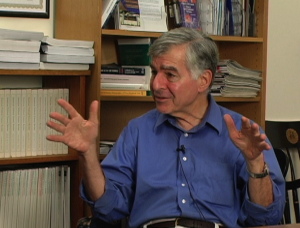 Second of a 5 week series with Governor Dukakis. Governor Michael Dukakis is Massachusetts’ longest serving Governor. Dukakis held the Democratic nomination against George H. W. Bush during the 1988 Presidential Election. He is currently a Professor of Political Science at Northeastern University. Read more about the Governor here. Listen as the former Governor explains how Massachusetts is an example of what the national universal health care plan should be. Next week’s topic with Governor Dukakis: Sarah Palin. Governor Dukakis to Fill Kennedy Senate Seat?